Established in 1923, Omaha Promos is one of the Midwest's oldest family owned businesses. From the beginning, our company has prided itself on doing one thing and doing it exceedingly well. To this day, we live by that mantra, and what we do exceedingly well is identifying the best overall promotional marketing strategy for our clients and deploying that strategy through the use of hand curated custom apparel, promo items, customer appreciation gifts, green promotions, trade show giveaways, leave behind gifts and various branded goods. 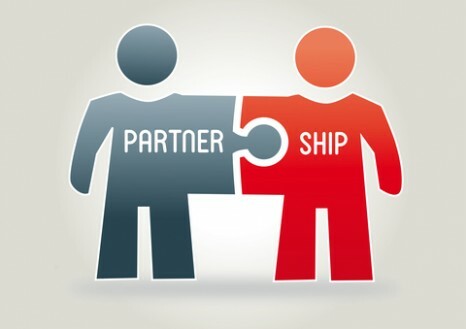 Simply put, we develop long lasting marketing partnerships with our valued friends and peers. Aside from uniquely enthusiastic commitment to customer service and promo product / custom clothing knowledge, the cornerstone of Omaha Promos' success over the decades is we're students of marketing trends overall, not just within the promotional products and branded apparel industry but across the entire spectrum of businesses. So what's what for 2019? What marketing changes, shifts and trends can our fellow businesses and entrepreneurs expect for the New Year? First, customers across the board are flat sick of lousy customer service. Too many companies see customers as wallets. Customers wind up feeling ignored unless they're spending. That's where Omaha Promos differs in our approach. Obviously, any business -including Omaha Promos- is in business to make revenue, but we're truly invested in our clients' pursuit of success as well. It's not about closing the deal at all costs, our reputation is too important for that, and our team's patience, generosity with their time and product knowledge always pays dividends in the long run whether we sell you something or not. Another issue all businesses should be thinking hard about is security. Omaha Promos does all we can to ensure your privacy is of the utmost concern, even if you don't notice the steps we take to make it so. Omaha Promos never sells, shares, distributes or misuses your privacy, data or financial details. Ever. Consumers are starting to pay more attention to how businesses handle their privacy, and Omaha Promos is committed to keeping your privacy, well, private! Customer complaints is something no one in business wants to acknowledge, much less talk about, but Omaha Promos is completely and thoroughly committed to our promotional products and custom clothing customers' happiness, so let's address the elephant in the room. If you can't solve a customer complaint in 5 minutes or less, you're probably doing it wrong. First, a word about your website. If after looking your number up, a customer faces a dizzying array of phone menu options and a long wait time, it won't matter how well you handle their complaint or how nice you are during your interaction - the damage will already be done. Zappos may be the best in the nation at customer phone support. Call anytime day or night and you're quickly greeted with a real person, and an enthusiastic one at that. Omaha Promos values this sort of customer experience when you call us. We call it: Real. Human. Contact. Omaha Promos didn't grow from a bootstrapped one-man show to the registered woman-owned small business with clients in 20 states we are today without (a) knowing the promotional products and custom clothing industries very well, (b) offering the best selection and competitive pricing of those various branded product lines and, (c) adhering to an unwavering commitment to client support and marketing trends. Remember Omaha Promos the next time you want to talk to a real person who puts your complete satisfaction first every time! Call us for a free consultation on how promotional products, embroidery, custom baseball caps, custom koozies and mugs, and all manner of logo items and identity wear can improve both your curbside appeal and your bottom line!